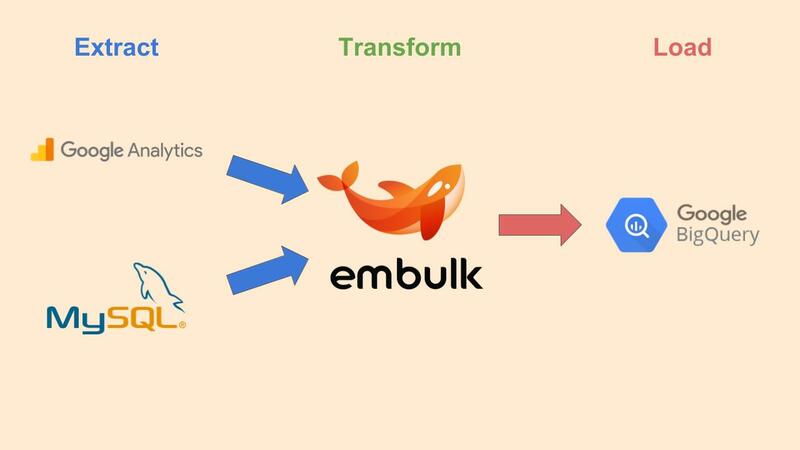 curl -o /usr/local/bin/embulk -L "https://dl.embulk.org/embulk-latest.jar"
# No versions are specified for 'embulk' to use the gem embedded in embulk.jar. # Note that prerelease versions (e.g. "0.9.0.beta") do not match the statement. # Specify the exact prerelease version (like '= 0.9.0.beta') for prereleases. 2018-11-27 01:58:28.603 +0900 [WARN] (main): DEPRECATION: JRuby org.jruby.embed.ScriptingContainer is directly injected. 2018-11-27 01:58:30.711 +0900 [INFO] (main): BUNDLE_GEMFILE is being set: "/home/embulk/embulk-test/./Gemfile"
2018-11-27 01:58:30.712 +0900 [INFO] (main): Gem's home and path are being cleared. 2018-11-27 01:58:33.420 +0900 [INFO] (0001:preview): Fetch size is 10000. Using server-side prepared statement. 2018-11-27 01:58:33.632 +0900 [WARN] (0001:preview): embulk-input-mysql 0.9.0 upgraded the bundled MySQL Connector/J version from 5.1.34 to 5.1.44 . 2018-11-27 01:58:33.632 +0900 [WARN] (0001:preview): And set useLegacyDatetimeCode=false by default in order to get correct datetime value when the server timezone and the client timezone are different. 2018-11-27 01:58:33.632 +0900 [WARN] (0001:preview): Set useLegacyDatetimeCode=true if you need to get datetime value same as older embulk-input-mysql. 2018-11-27 01:58:33.806 +0900 [INFO] (0001:preview): Fetch size is 10000. Using server-side prepared statement. 2018-11-27 02:20:03.387 +0900 [WARN] (main): DEPRECATION: JRuby org.jruby.embed.ScriptingContainer is directly injected. 2018-11-27 02:20:06.648 +0900 [INFO] (main): BUNDLE_GEMFILE is being set: "/home/embulk/embulk-test/./Gemfile"
2018-11-27 02:20:06.649 +0900 [INFO] (main): Gem's home and path are being cleared. 2018-11-27 02:20:15.910 +0900 [INFO] (0001:transaction): Fetch size is 10000. Using server-side prepared statement. 2018-11-27 02:20:16.250 +0900 [WARN] (0001:transaction): embulk-input-mysql 0.9.0 upgraded the bundled MySQL Connector/J version from 5.1.34 to 5.1.44 . 2018-11-27 02:20:16.250 +0900 [WARN] (0001:transaction): And set useLegacyDatetimeCode=false by default in order to get correct datetime value when the server timezone and the client timezone are different. 2018-11-27 02:20:16.250 +0900 [WARN] (0001:transaction): Set useLegacyDatetimeCode=true if you need to get datetime value same as older embulk-input-mysql. 2018-11-27 02:20:20.150 +0900 [INFO] (0022:task-0000): Fetch size is 10000. Using server-side prepared statement. 2018-11-27 02:20:45.387 +0900 [INFO] (main): Committed. 2018-11-27 02:35:09.741 +0900 [WARN] (main): DEPRECATION: JRuby org.jruby.embed.ScriptingContainer is directly injected. 2018-11-27 02:35:12.776 +0900 [INFO] (main): BUNDLE_GEMFILE is being set: "/home/embulk/embulk-test/./Gemfile"
2018-11-27 02:35:12.778 +0900 [INFO] (main): Gem's home and path are being cleared. 2018-11-27 02:35:21.942 +0900 [INFO] (0001:transaction): Fetch size is 10000. Using server-side prepared statement. 2018-11-27 02:35:22.382 +0900 [WARN] (0001:transaction): embulk-input-mysql 0.9.0 upgraded the bundled MySQL Connector/J version from 5.1.34 to 5.1.44 . 2018-11-27 02:35:22.383 +0900 [WARN] (0001:transaction): And set useLegacyDatetimeCode=false by default in order to get correct datetime value when the server timezone and the client timezone are different. 2018-11-27 02:35:22.383 +0900 [WARN] (0001:transaction): Set useLegacyDatetimeCode=true if you need to get datetime value same as older embulk-input-mysql. 2018-11-27 02:35:26.281 +0900 [INFO] (0022:task-0000): Fetch size is 10000. Using server-side prepared statement. 2018-11-27 02:35:50.569 +0900 [INFO] (main): Committed. 2018-11-27 02:43:09.681 +0900 [WARN] (main): DEPRECATION: JRuby org.jruby.embed.ScriptingContainer is directly injected. 2018-11-27 02:43:13.133 +0900 [INFO] (main): BUNDLE_GEMFILE is being set: "/home/embulk/embulk-test/./Gemfile"
2018-11-27 02:43:13.135 +0900 [INFO] (main): Gem's home and path are being cleared. 2018-11-27 02:43:21.799 +0900 [INFO] (0001:transaction): Fetch size is 10000. Using server-side prepared statement. 2018-11-27 02:43:22.209 +0900 [WARN] (0001:transaction): embulk-input-mysql 0.9.0 upgraded the bundled MySQL Connector/J version from 5.1.34 to 5.1.44 . 2018-11-27 02:43:22.209 +0900 [WARN] (0001:transaction): And set useLegacyDatetimeCode=false by default in order to get correct datetime value when the server timezone and the client timezone are different. 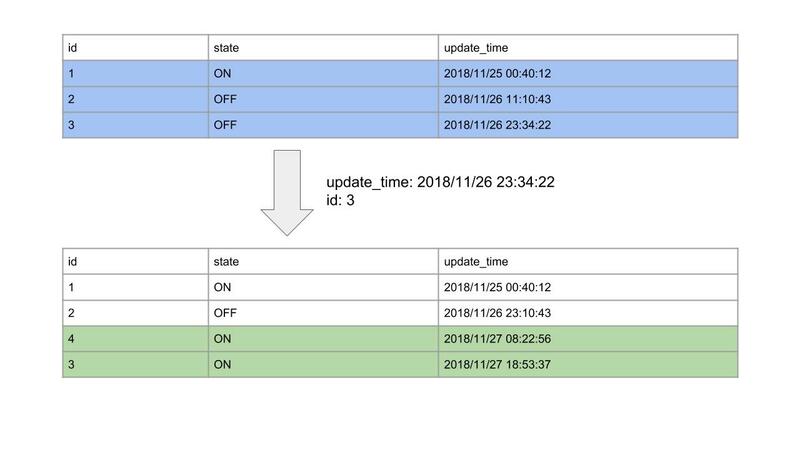 2018-11-27 02:43:22.209 +0900 [WARN] (0001:transaction): Set useLegacyDatetimeCode=true if you need to get datetime value same as older embulk-input-mysql. 2018-11-27 02:43:26.027 +0900 [INFO] (0022:task-0000): Fetch size is 10000. Using server-side prepared statement. 2018-11-27 02:43:37.525 +0900 [INFO] (main): Committed.